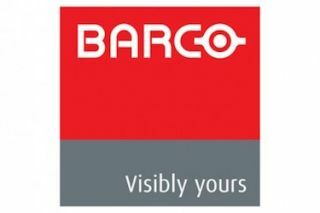 Barco is getting ready to showcase its latest AV solutions at this year’s Integrated Systems Europe (ISE) in Amsterdam, The Netherlands from February 7 to 10 at booth 12-F100 in Hall 12 of the Amsterdam RAI venue. Visitors to Barco’s technology buffet will experience first-hand the possibilities their equipment offers as Barco experts demonstrate the latest features and additions to the portfolio. Highlights on the Barco ISE booth will be OpSpace, their control room operator workspace designed to boost operator efficiency in 24/7 environments, the brand-new RGB laser rear-projection video wall, powered with the latest laser technology to deliver unseen brightness levels and vibrant colors at a very low total cost of ownership and weConnect, fully scalable and networked, with a range of tools for connectivity, interactivity and information exchange, this solution enables remote classrooms and students at home to join in on the lecture.